Studying in Boston a few years ago, the new minority leader discovered a love for public policy. 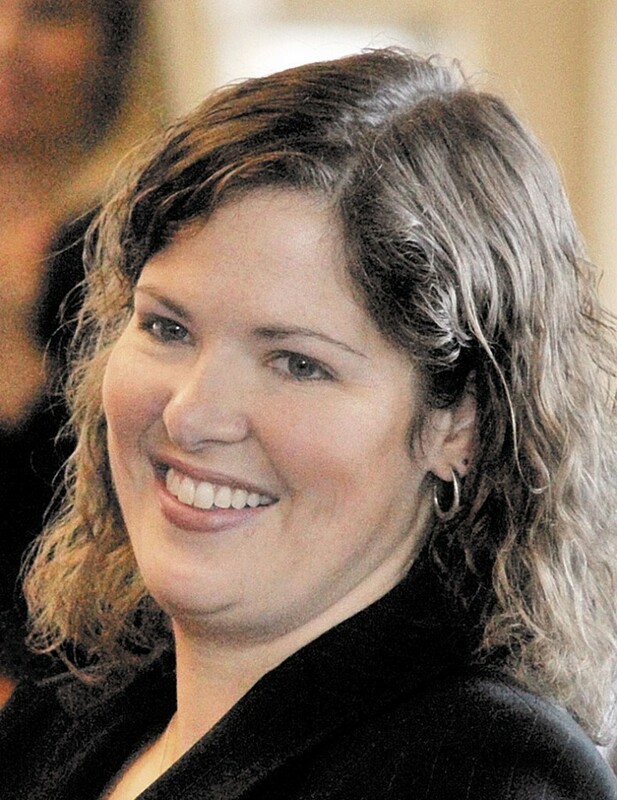 AUGUSTA – Rep. Emily Cain loves the stage, whether theatrical or political. The self-assured 30-year-old leader of this legislative session’s minority House Democrats applies the skills of the theater — a strong voice, a polished delivery and a little showmanship — to the State House. “I think it’s our role to disagree when we need to and to be firm about it and to stand on principle,” she said. Cain, the oldest of three girls, was born in Louisville, Ky., where her father ran Florsheim shoe stores. Her mother worked with the deaf as an educator and sign-language interpreter. She attended high school in New Jersey, staying there even after her parents moved to Kennebunk when her father got a job with Bass Shoe. Cain completed her senior year while living with neighbors. With uncles and cousins in Orono, Cain applied to the University of Maine and decided to attend mostly because it was a place her family could afford. She didn’t intend to stay, but fell in love with the school. “I may have gone for financial reasons, but I stayed there because of the opportunities there,” she said. After graduating in 2002 with a degree in vocal music education, she worked for a year then attended Harvard University, where she earned her master’s degree in higher education in 2004. Also in 2004, Cain married Daniel Williams, a former one-term legislator from Orono. It’s also the year former Sen. Mary Cathcart, D-Orono, and her husband Jim Dearman, encouraged her to run for office at age 24. After one term on the education committee, she moved to Appropriations, where she served two years as a member and two years as House chairwoman. She sought to become Speaker of the House this year, raising money and working with candidates across the state to help them get elected. But everything changed Election Day, when voters handed majority control to Republicans for the first time since 1974 — six years before Cain was born. For the next two years, she’ll work with Minority Whip Terry Hayes, D-Buckfield, to present a united Democratic front.